Earlier this year, we announced that Pistonhead would be working with Vince Summers to create a custom classic Harley ‘Pistonhead Bike’. 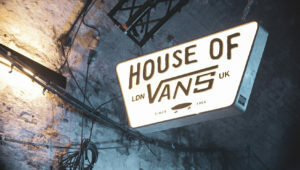 Last week, it was unveiled during an awesome party at House of Vans. With 18 years’ experience, Vince is one of the best bike builders in the business. This was obvious from the incredible chopper he had created! 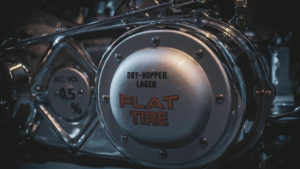 Designed to hero the Pistonhead Flat Tire Non-Alcoholic beer, the bike was inspired by the Bar Hopper style, a lighter, 1960s inner-city chopper, which reflects the light beer. The bike shone at the centre of the event, surrounded by other amazing custom choppers. The free event welcomed a variety of guests: non-alcoholic influencers, fashion labels, bike connoisseurs, rock ‘n’ rollers and other Londoners looking for an exciting evening. 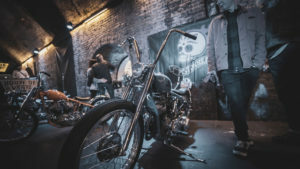 After a free Pistonhead Kustom Lager or Flat Tire Non-Alcoholic at the door, guests were invited to go through and peruse the photography, art, stalls and of course the array of motorbikes. 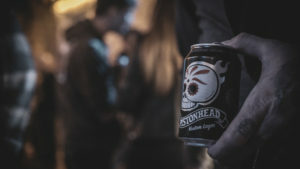 Brands such as Bonzorro, Slab City, Lucky Luke’s, Krazy Horse, I Cleenz Macheenz, Baron’s Speed Shop hosted stalls and of course the bar was stocked with Pistonhead Lager.